"My baby has been in the hospital for the last 2 months now and no one could tell me why he has high fever. He is being given high dosage of antibiotics every alternate day. He has severe infection in blood, doctors say that they need to do more tests to find out the exact reasons why. My husband is my only support but he has fallen sick too. He has high blood pressure but he still comes to the hospital everyday to see our baby, he breaks down seeing how helpless we are." - Preetika, mother. 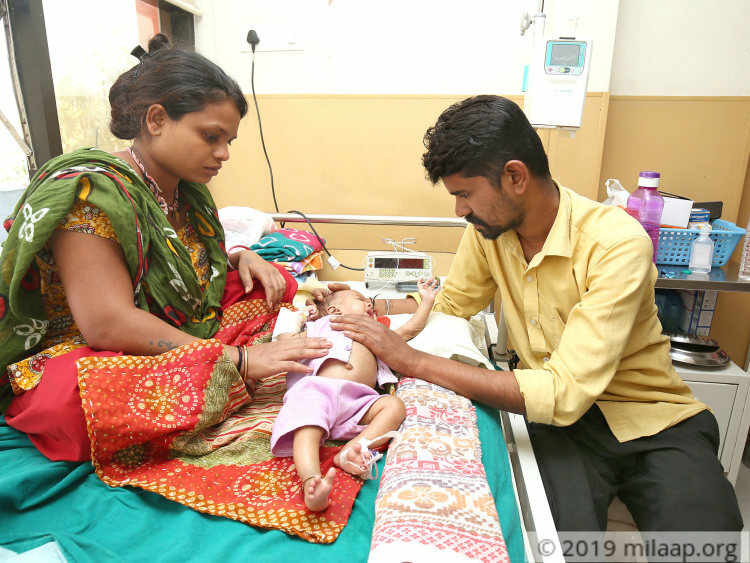 "My second child had fever like how Daksh has now and there was nothing we could do to save his life"
Preetika and Mahesh have an elder daughter Urvashi (4) but the couple suffered from a traumatic incident when their second child passed away in 2016. He was just 2 months old and all he had was high fevers, no one could find out why. Daksh's birth was a boon to the family. 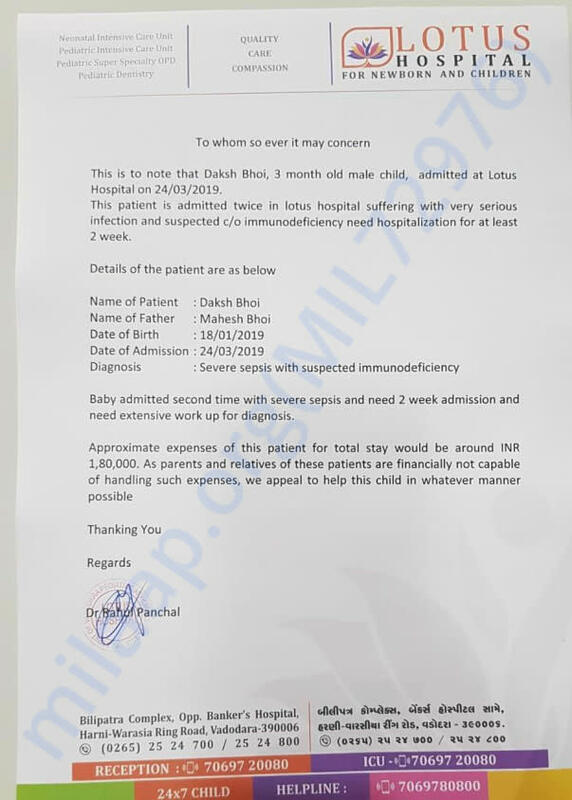 When Daksh got fever for the first time, they thought it would subside but the recurrent fevers brought back the bitter memories of their lost child and they immediately rushed him to the hospital. 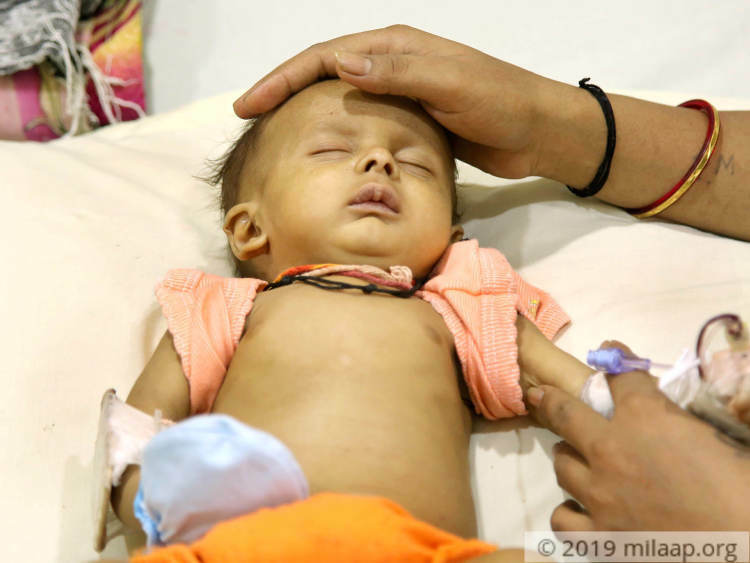 Baby Daksh has sepsis, a life-threatening condition caused by body's response to infection and it can trigger changes that can damage multiple organ systems. 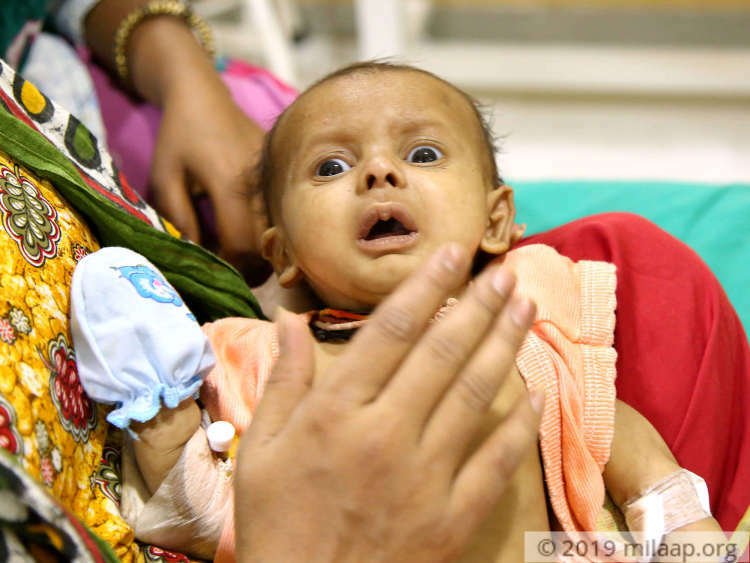 The baby needs extensive tests for diagnosis, besides this he is suspected to have immunodeficiency in which the immune system's ability to fight infectious disease is compromised or entirely absent. "We are struggling even for the next meal, we cannot afford the treatment"
Mahesh is a daily wager and earns Rs 100- 200 per day. He has not gone for work for the past 2 weeks owing to his poor health. Preetika was also a working in a farm until she became pregnant with Daksh. They have paid only 15,000 so far by borrowing from their friends. 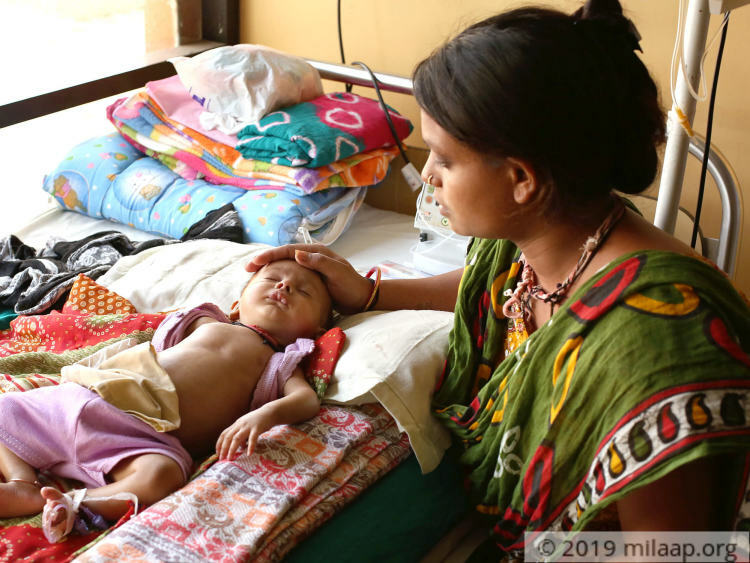 They are struggling hard even for their next meal and they need 1.8 lakhs to continue the treatment which is beyond their means. "Doctors said he needs at least 2 weeks of hospital stay and we already have unpaid bills. Except for few hours of sleep, he cries all the day and he is in so much of pain. I don't know what I can do to save him, please help me." - Preetika. Parents have no income now and they cannot continue the treatment without your help.